Good Friday and Gooooood Fanesca! 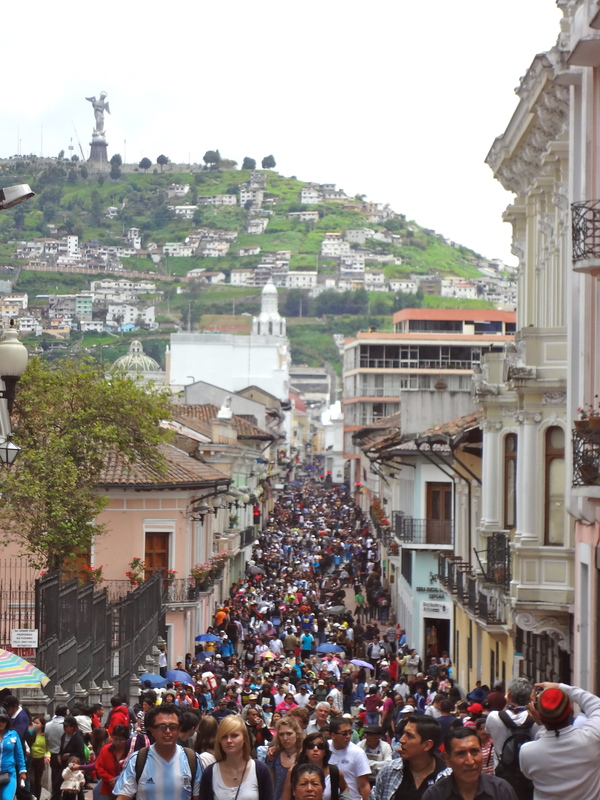 Holy Week in Quito is no small affair. 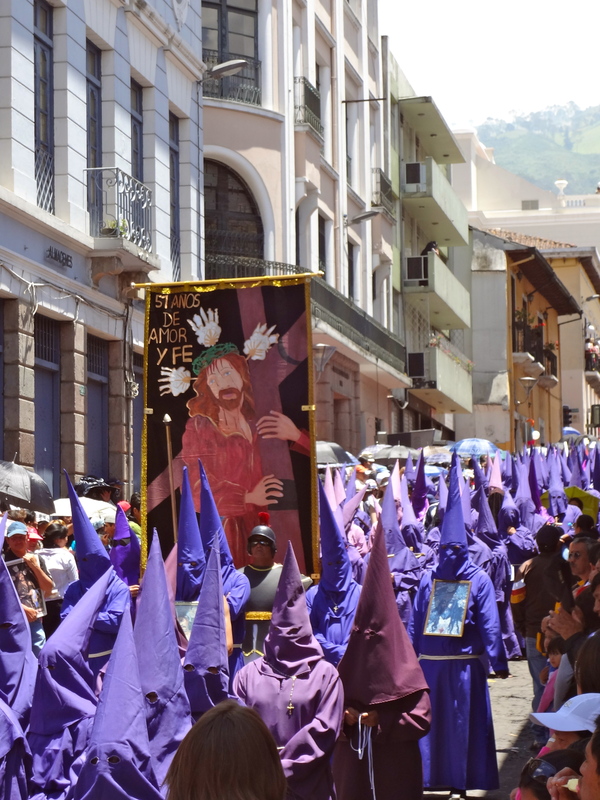 Each day there are different activities to help people to remember what Holy Week is all about. Sadly, I was really sick for most of it. 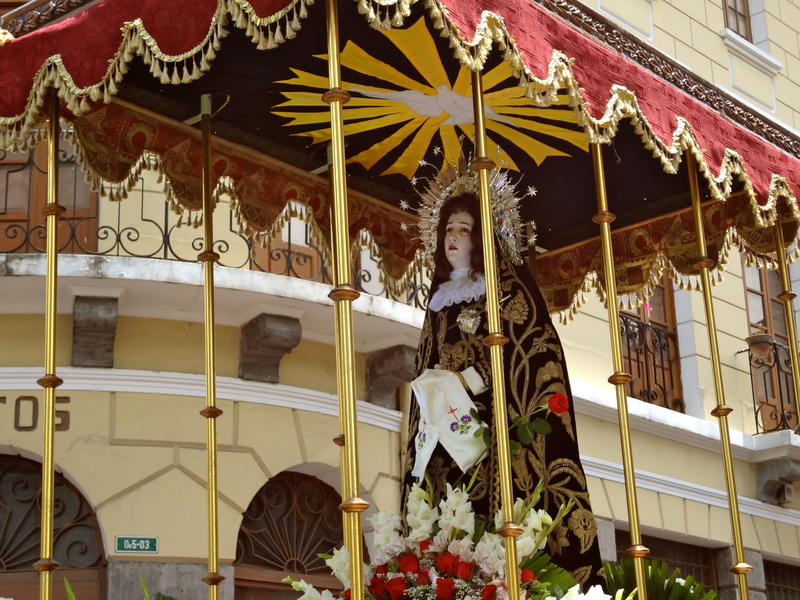 But I dragged myself out of bed for Good Friday because I had read about the amazing procession that winds through the historic district of the city. It was just as cool as everyone said it would be! 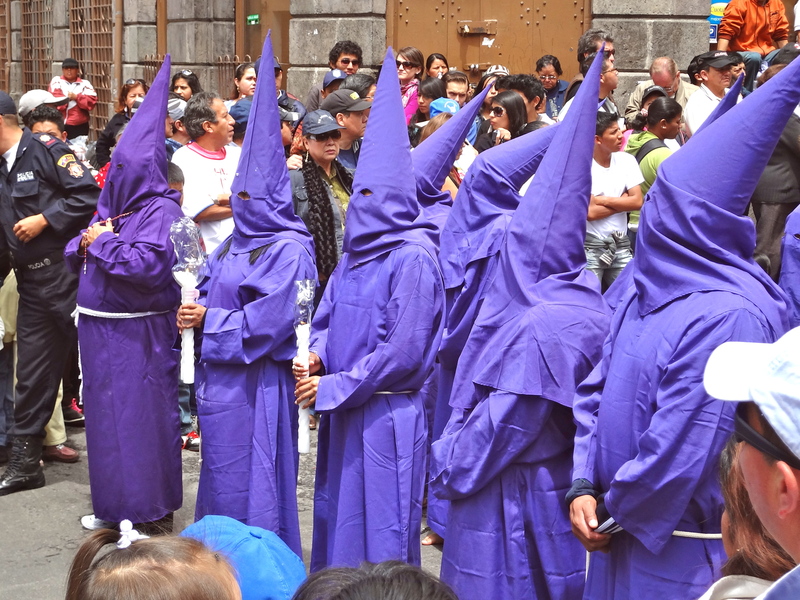 There are cucuruchos – the men dressed in purple robes. There are men that carry a huge cross made from two trees. They would shake under the weight of it and they had to carry them more than a couple of miles! 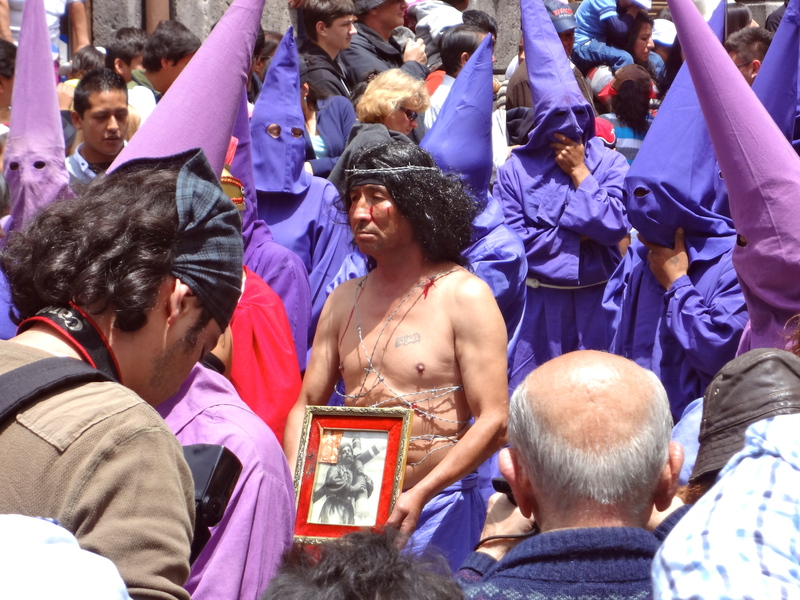 There were men walking bare chested self flagellating! 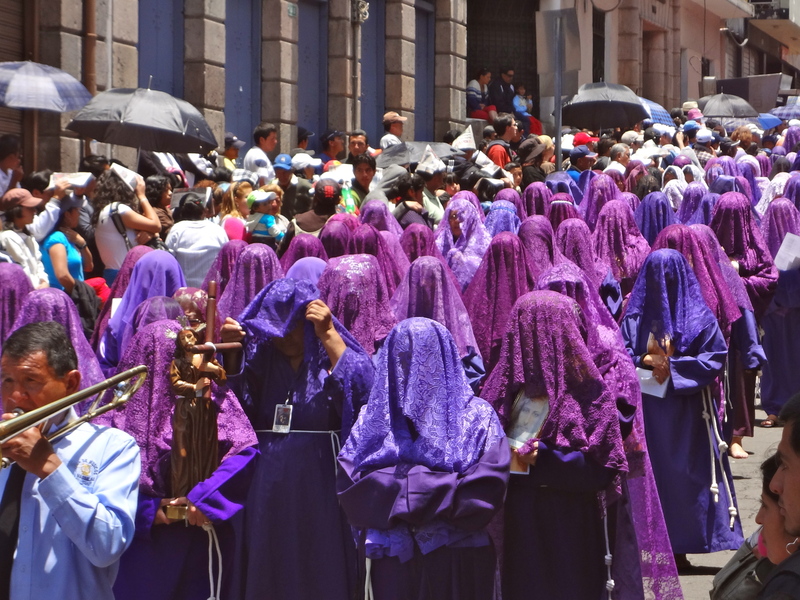 Women are not allowed to wear the cucurucho hats, they were lacey veils as they walk. And when Mary showed up, there are police men surrounding her to keep people from trying to touch the statue and the robes on the statue. She is really popular! 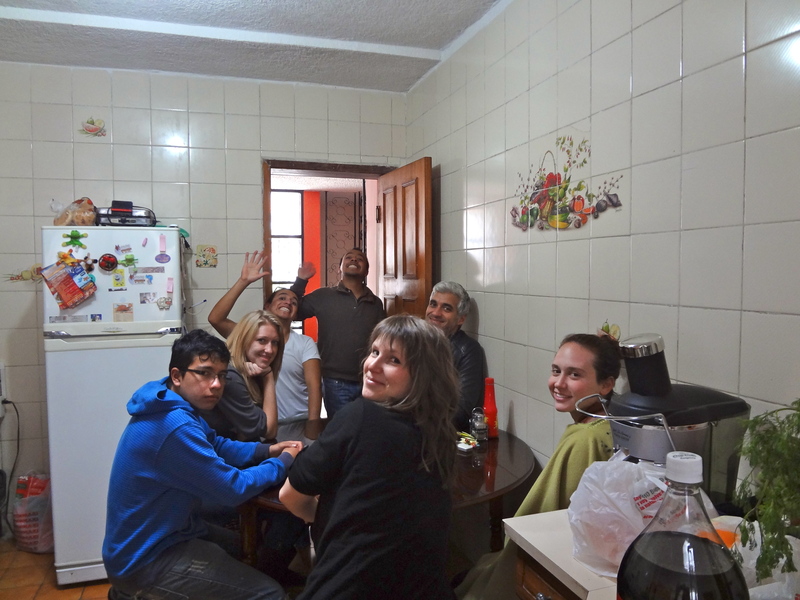 After watching the procession that lasted for hours, we came home to Marcia’s fanesca. 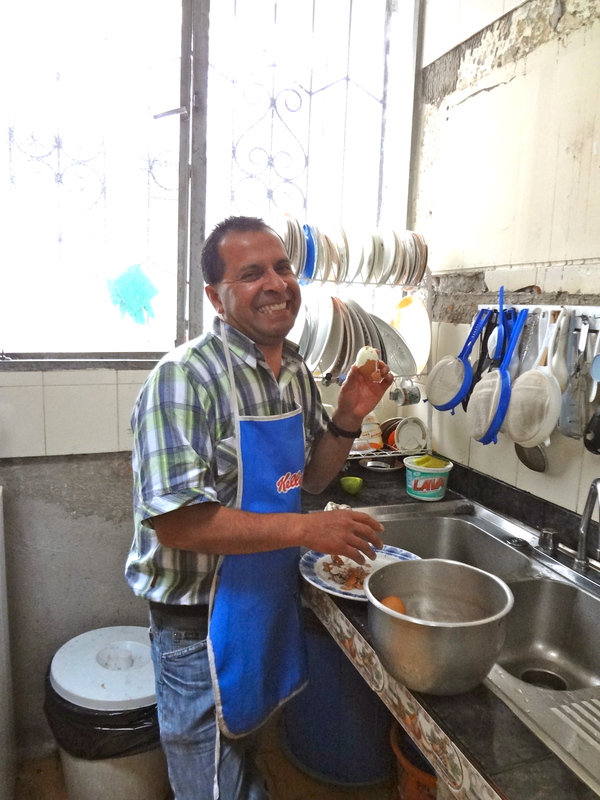 For days I had seen beans soaking around the house and seen strange grains in the cabinets. She worked really hard on it and invited lots of people over so they could experience the fun! 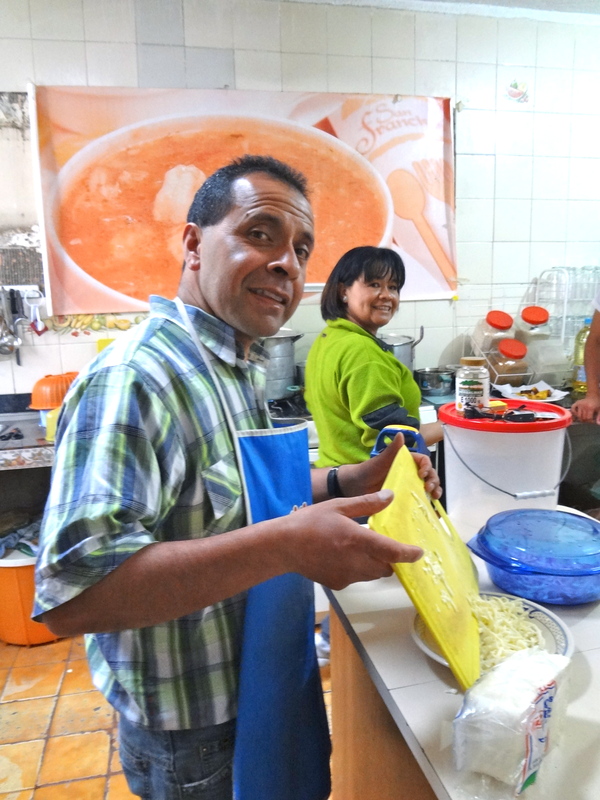 It was a really nice afternoon and the soup was DELICIOUS! 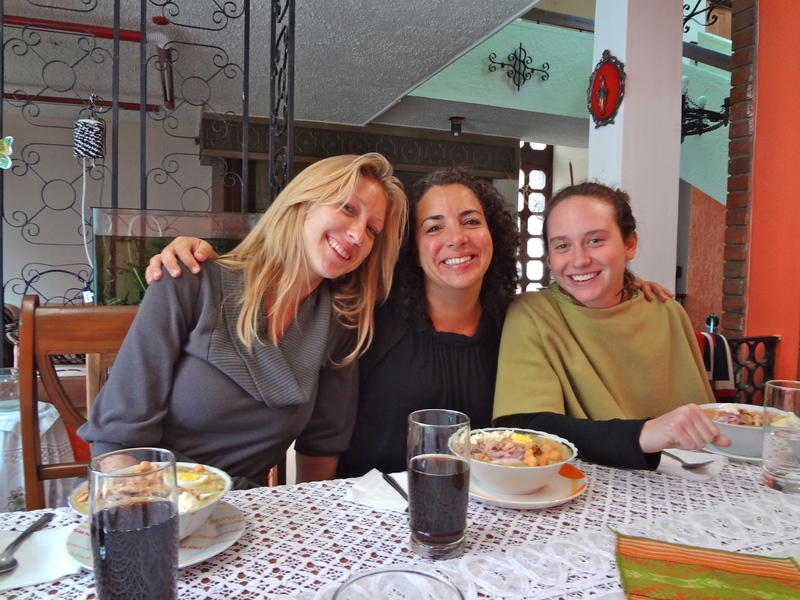 I realize that I only have about four months left here in Quito. And this thought makes me so sad. I have to do more to take advantage of my time here. I think I’ll be visiting the beach soon. I need to do a bit more traveling before I head home! 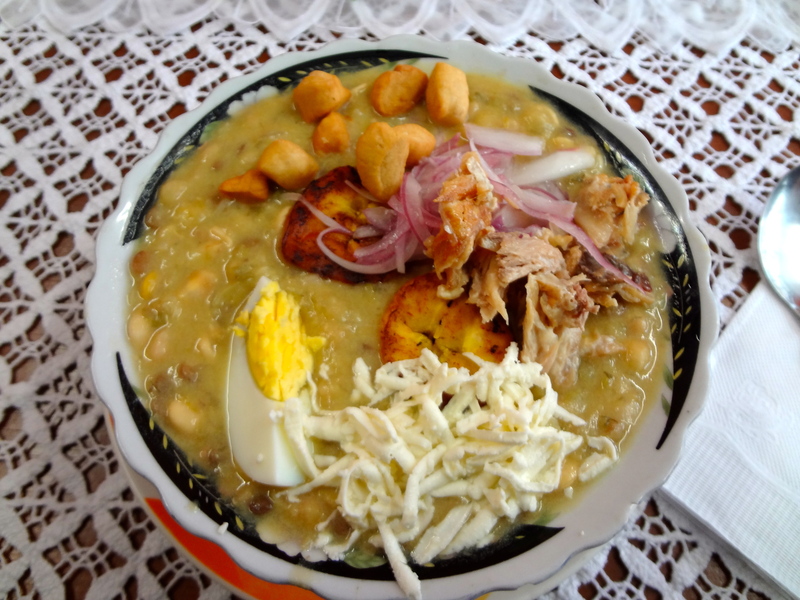 Fanesca – It’s got everything but the kitchen sink! 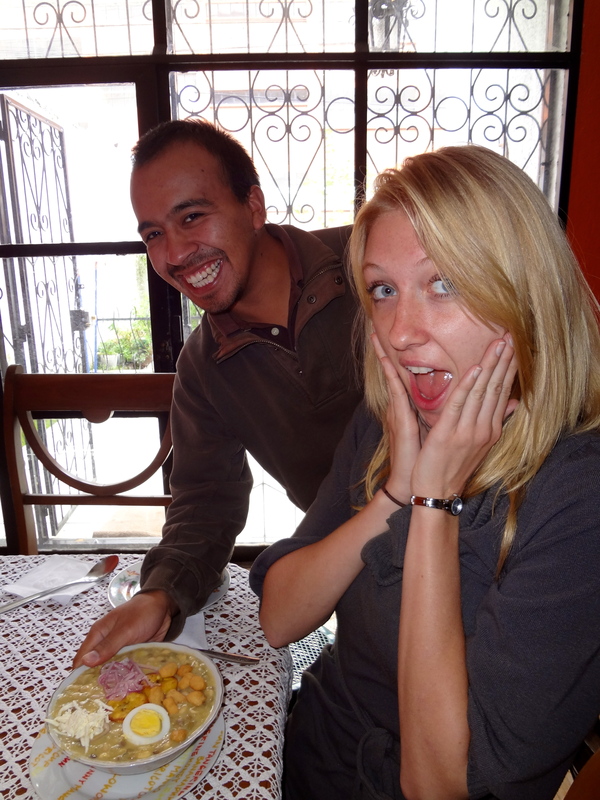 Henry and Marcia preparing the fanesca! 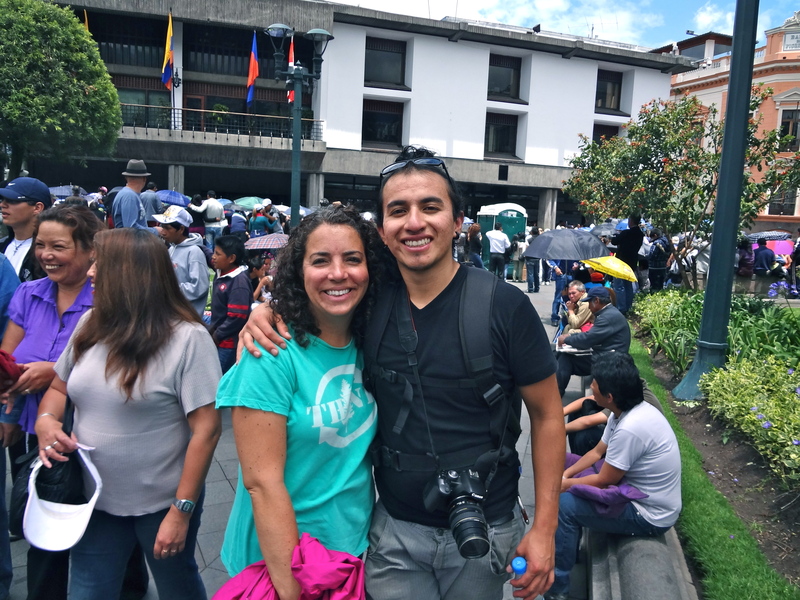 Henry and me in the crowds! Mary is the most popular! Yes, that wood is really heavy! 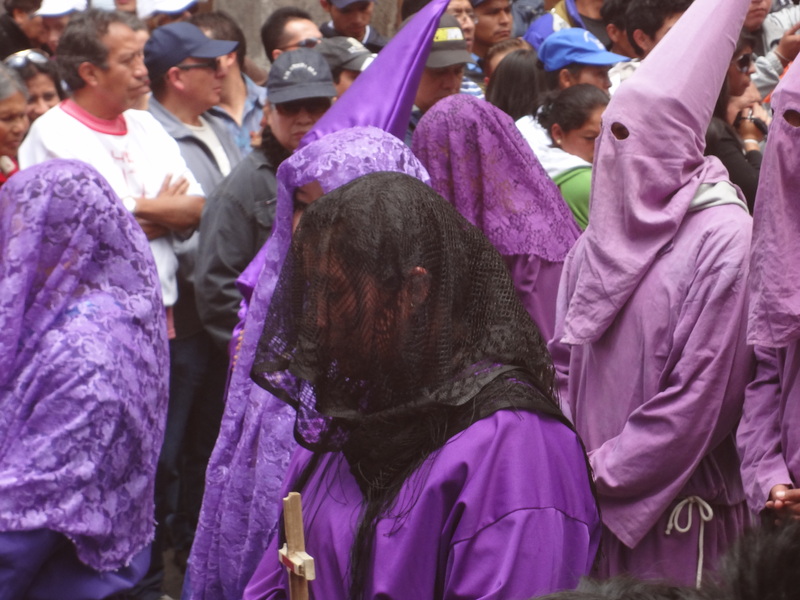 Women are not allowed to wear the cucurucho hats. 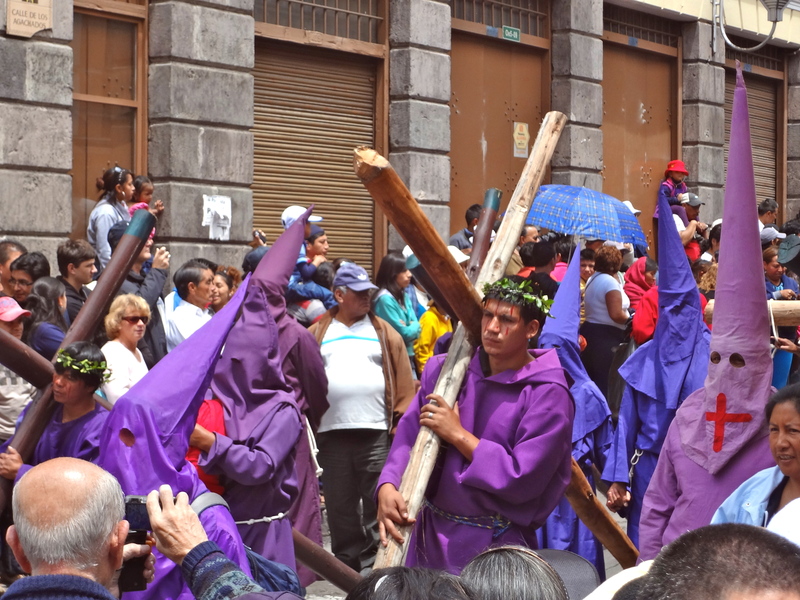 The crosses were made from real wood – really heavy! 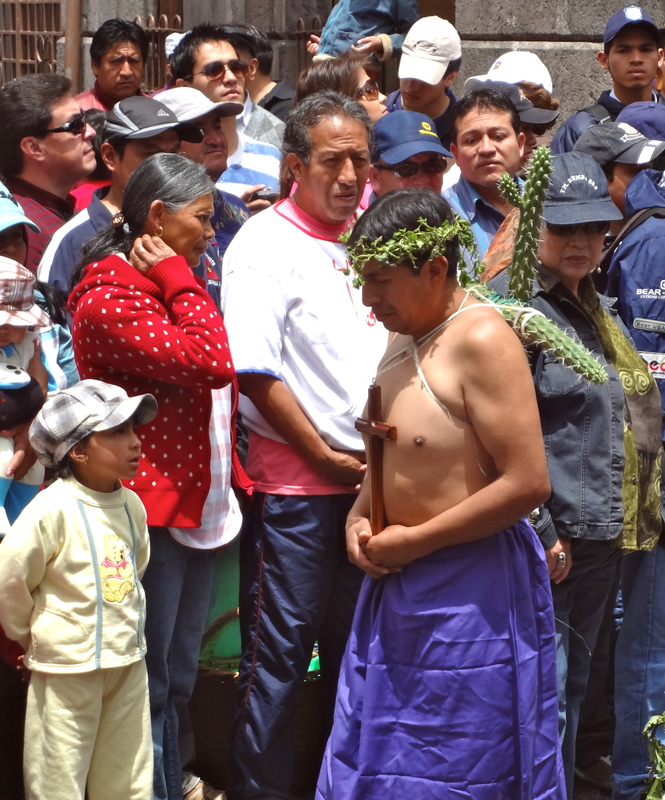 This entry was posted in Ecuador, Family and tagged Celebration, Cucurucho, Fanesca, Good Friday by magpieb. Bookmark the permalink. Wow what a parade for Good Friday. Not at all as it is here. The food looks great, as well, which is kinda the same. 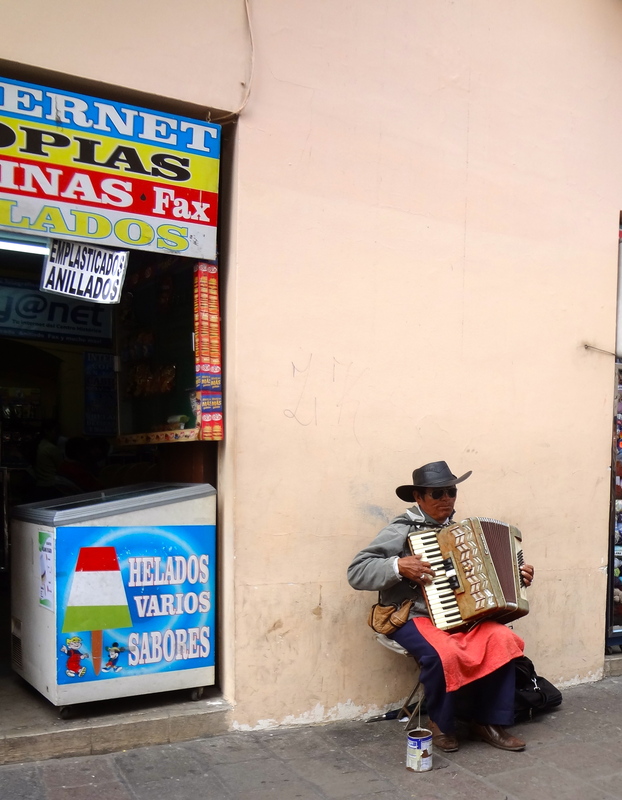 Great shots and very interesting. You are a good photographer. You also have a wonderful family to live with. How impressive, Megan! 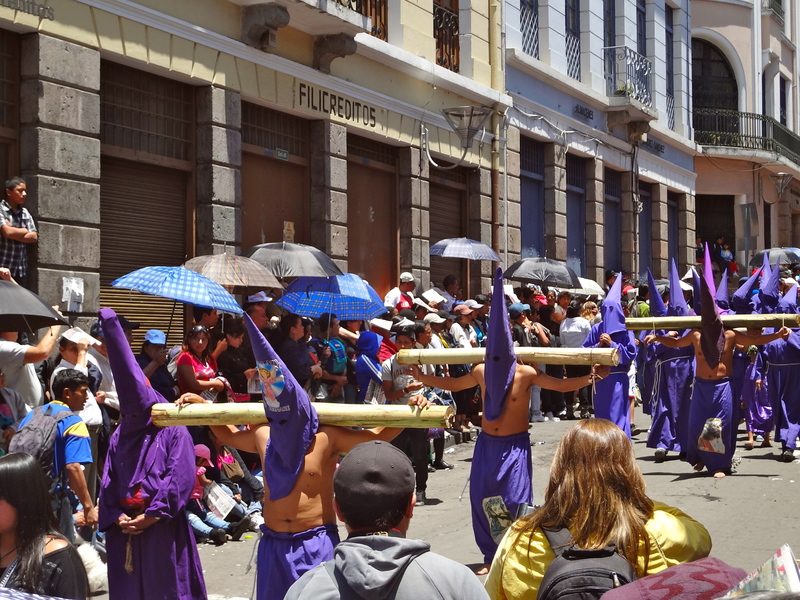 The procession reminds me of those I have seen in small villages in Italy, but without the hoods…….